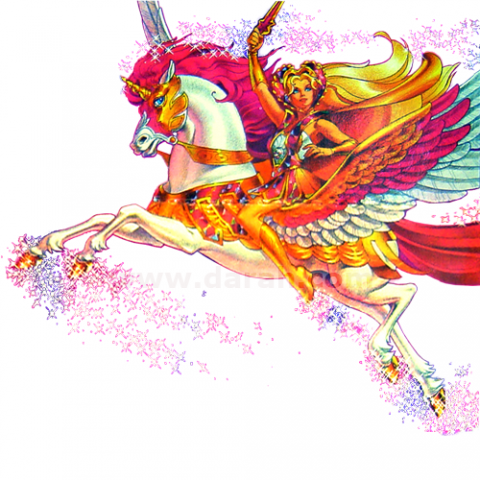 Mighty “flying” unicorn carries She-Ra to adventure! 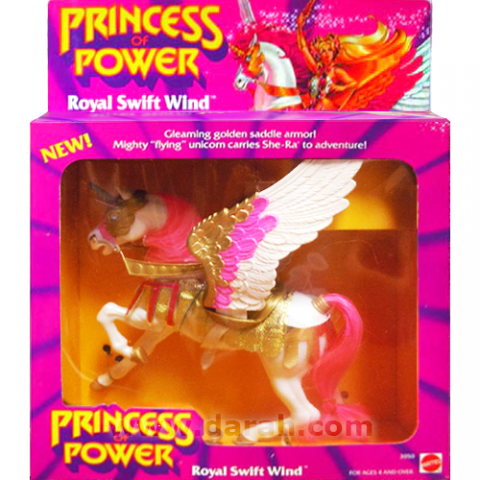 When all is well, I’m Spirit, loyal horse of Princess Adora. 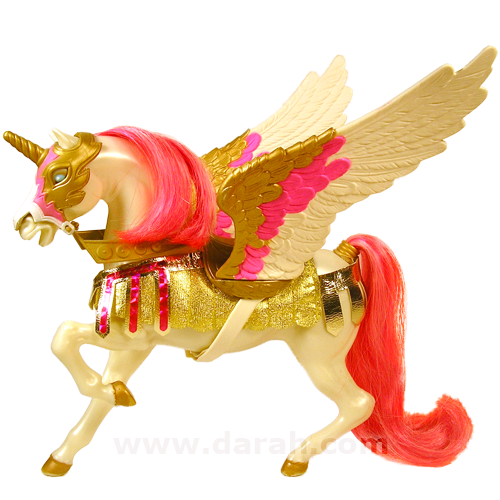 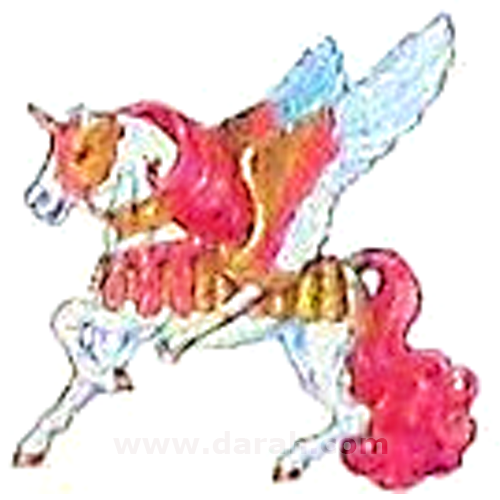 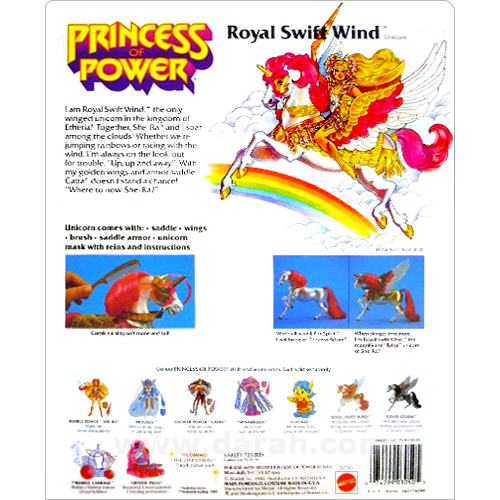 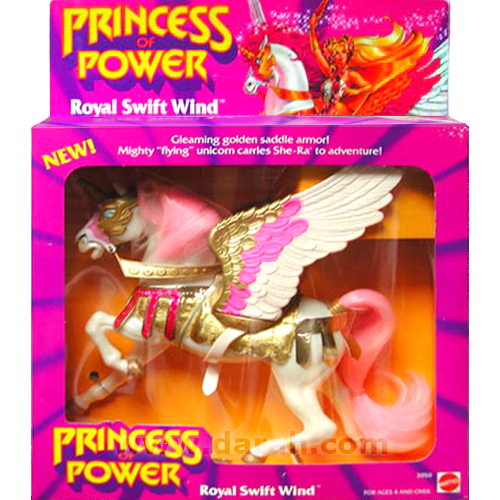 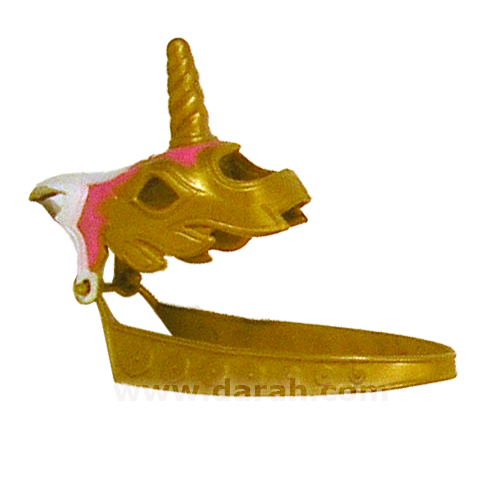 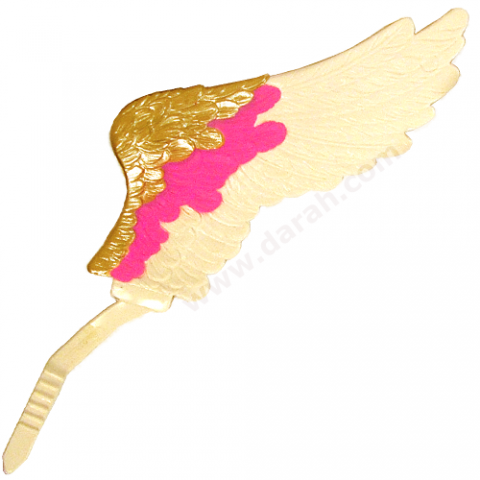 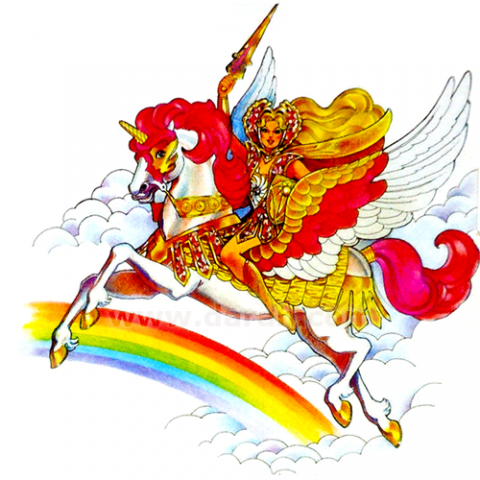 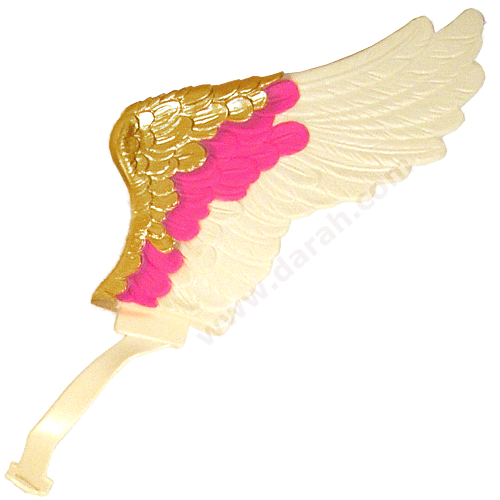 When danger threatens, I’m Royal Swift Wind, the magnificent “flying” unicorn of She-Ra. 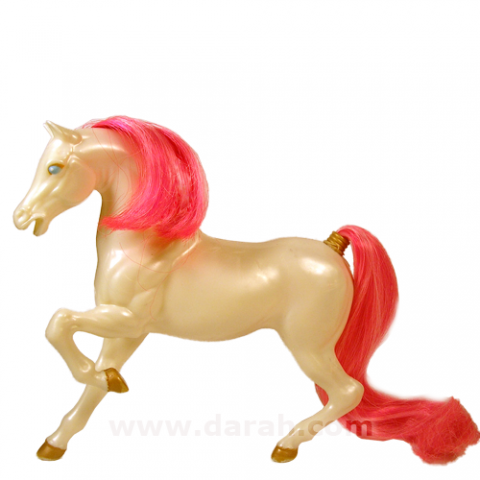 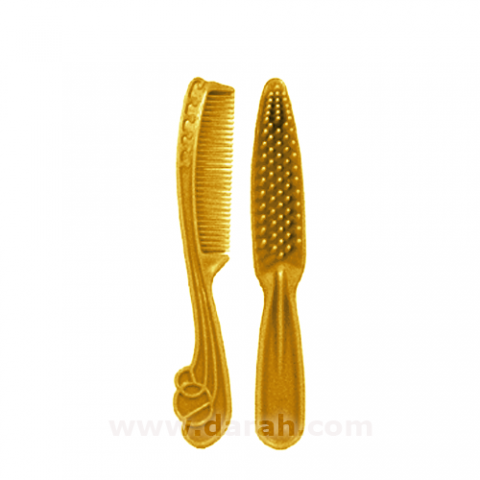 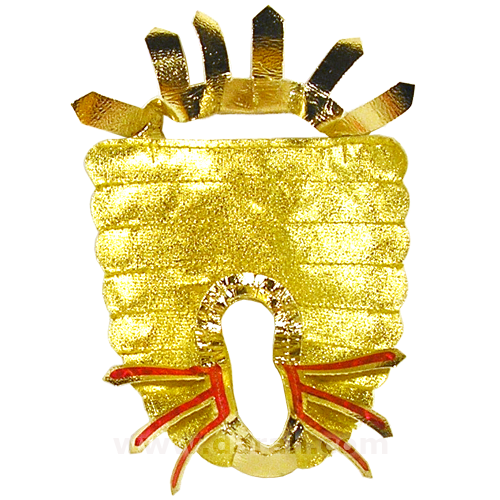 Comb his silky soft mane and tail!